Salt Lake Comic Con wrapped up this weekend and what an amazing experience it was! 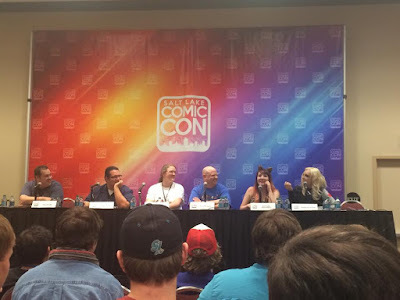 I was absolutely thrilled to be able to work with Salt Lake Comic Con this year not just as a panelist, but as one of their Official Bloggers. Being able to share my comic and pop culture knowledge with the fans in Salt Lake City was an incredible experience. I loved being able to meet so many new fans that started listening to On the Mic because of Salt Lake Comic Con and being able to give out passes to people to attend their first Comic Con. The lineup of guest for the 2014 Salt Lake Comic Con was excellent as always. This year's guests included the likes of Stan Lee, Simon Helberg, Stephen Amell, The Aquabats, Giancarlo Esposito, Bruce Campbell, Alan Tudyk, John Barrowman, and Cary Elwes, just to name a few. The panels put on by these excellent guests did not let the fans down! Before I had the chance to attend any of the guest panels, we had to run over to the opening press conference featuring almost every one of the weeks guests. Setting up the press conference stage. As the guest were announced it turned out that it was Jason David Frank's birthday, so everybody took a moment to sing him Happy Birthday. Manu Bennett announces that he will be donating proceeds from his signings to help with this child's Make A Wish dream. My first panel was on Thursday for the hit AMC show, 'Breaking Bad'. We had an absolute blast on this panel talking everything 'Breaking Bad' and what our hopes are for the upcoming 'Better Call Saul' series. As panelists, 'Breaking Bad' was of course one of our all-time favorite shows, so I suggest that our panelists, and the fans in attendance at the panel, give the cast and crew of 'Breaking Bad' the proper Thank You. Check out the selfie video of our Thank You below. Friday Morning started off strong with X96's Radio From Hell Show. As many of you know, aside from working for On the Mic and covering Comic Con for my own show, I was also helping Produce all of Radio From Hell's shows at Comic Con. We had so many great guests stop by the show, but my favorite of the morning was the band The Aquabats. The Aquabats were in town for 'The Aquabats Super Show' and joined Radio From Hell to talk about this event. I've had the pleasure to meet The Aquabats a few times, and it's always great to chat with them and see what's new with the band. A snake decided to hang out with us on the show today as well. As the doors open and the crowds rushed in, we immediately hit the spotlight panel for Cary Elwes, moderated by one of our regular guests, Jimmy Martin. Cary was incredibly entertaining telling stories about times on set, jokes he's played, his new book and of course a very entertaining fan Q&A. 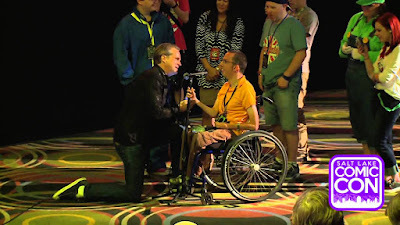 One of the great highlights of Cary's panel, and even of Comic Con was when Cary step down from the stage to join disabled actor Josh Twelves to recite lines from the 'The Princess Bride' with him. Following the Carey Elwes panel, we made our way to the next Ballroom to see the spotlight panel for Giancarlo Esposito, best known for his role as Gus Fring on 'Breaking Bad'. Giancarlo had amazing energy from the start and kept the crowd laughing the whole time. Even with Giancarlo's vast film resume, the entire panel was pretty much just focused on 'Breaking Bad'. It was really cool to hear all of his stories from behind the scenes, as well as the possibility of him being a part of 'Better Call Saul'. The first panel I was moderating on Friday was for The Muppets. As a huge fan of The Muppets my entire life I was honored and excited to be part of a panel to talk everything Muppets! The panel was packed and the crowd was awesome! I couldn't get enough of the many great Muppet Cosplayers and fans at the panel. All of the panelists were great and I hope to make this panel one of my regulars. Between panels, I went out to the convention floor to see some of the sites. I ran into my good friends Gollum, but we had a bit of a dispute over who was the rightful owner of the newly caught fish. My final panel for Friday was the fan panel for former NBC, now Yahoo! Screen show, 'Community'. Despite my promise that we would try not to "Britta the panel", I managed to forget to introduce the panelist right of the bat. 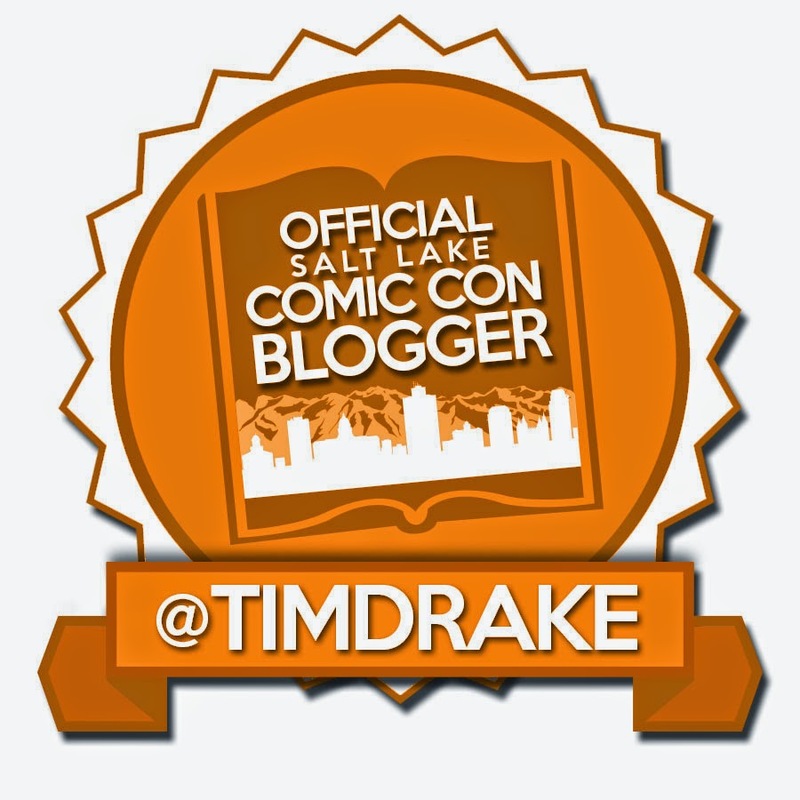 Good job, Tim! The 'Community' panel was a ton of fun! Despite it being fairly late, and the last panel of the night, we had a great turn out and had a lot of fun with all of the fans that came. 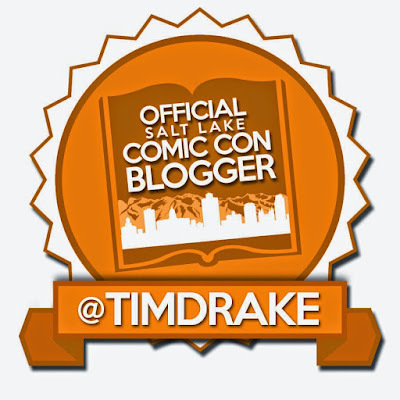 Saturday was spent checking out the Comic Con floor and hitting up some of the panels. One of the first panels we hit was with Bill Daley and Barbara Eden from 'I Dream Of Jeannie'. I didn't know what to expect from these TV legends and their panel did not disappoint! Bill and Barbara shared incredible stories from the set of 'I Dream of Jeannie' and kept the crowd laughing and entertained for the entire panel. After Barbara and Bill's panel was another panel that I had been very excited about, Patrick Warburton. Aside from Patrick's amazing voice work on Family Guy and The Emperor's New Groove, Patrick has always been one of my favorite character actors with his roles in Seinfeld, Ted, and of course 'The Tick'. Following both of the panels we hit the floor to check out the vendors and buy some cool art. Here is just a glimpse of everything we experience on the Salt Lake Comic Con floor. One of my favorite picture opportunities as Salt Lake Comic Con has always been the 'Lord of the Rings' trolls. Weta also brought in a special section to the convention floor bringing fans some incredible looks at 'Lord of the Rings' and 'The Hobbit' films. I personally enjoyed the head of Smaug from 'The Hobbit' films. Smaug watched over the audience with his eyes popping open and scanning the convention floor. Guest celebrities lined the floor signing and taking pictures wth fans throughout the convention. Ernie Hudson from 'The Ghostbusters' signing for fans. Alvin and The Chipmunks made their guest appearance as well. Salt Lake Comic Con always brings in the bet vendors to help fans be able to find all of the great collectibles they've been searching for. Saturday's panels did not disappoint! We started off the morning with Simon Helberg from 'The Big Bang Theory'. Simon was a gracious guest as he had just spent the entire week filming and quickly jumped on a flight to join us in Salt Lake City. Simon's panel was a lot of fun hearing all about his time on 'The Big Bang Theory. Hopefully, we will see more guests from 'The Big Bang Theory' in the years to come. Finally the moment I had been waiting for all weekend long arrived. It was time for Stan Lee's spotlight panel. I was living in Los Angeles during the inaugural Salt Lake Comic Con and missed Stan Lee's first appearance. Stan has always been a huge hero of mine and it was great to see Stan in the flesh and enjoy the hilarity and fun of everything his panel had to offer. My last panel for the day was planned to be the Marvel Movies panel, but due to a scheduling conflict with my Oddball Comedy obligations I had to miss this panel. A huge Thanks to my friend, comedian Christopher James for stepping in for me last minute on the Marvel Movies Panel. Sorry to anybody that came to that panel expecting to see me on the panel. I wish I could have been there! 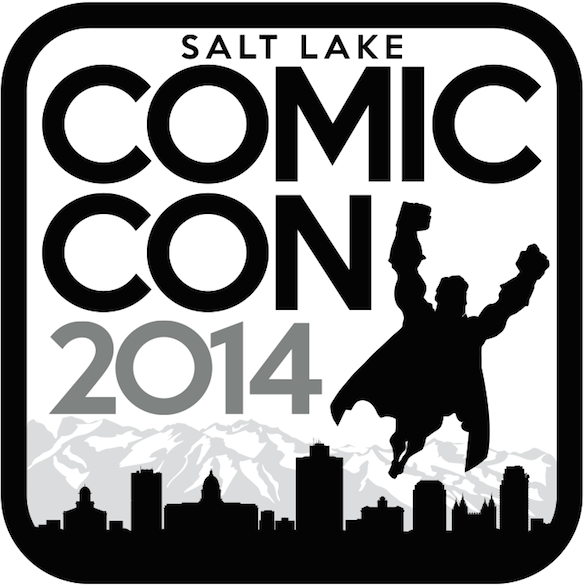 A huge Thank You to Salt Lake Comic Con for allowing us to be a part of this again. We have such an incredible time being able to participate and cover this event. It gets better and better every time! We can't wait for the FanX announcement! See all of you in the Spring.